SAN FRANCISCO—Google is pulling another lever on its influential search engine in an effort to boost voter turnout in November’s U.S. presidential election. 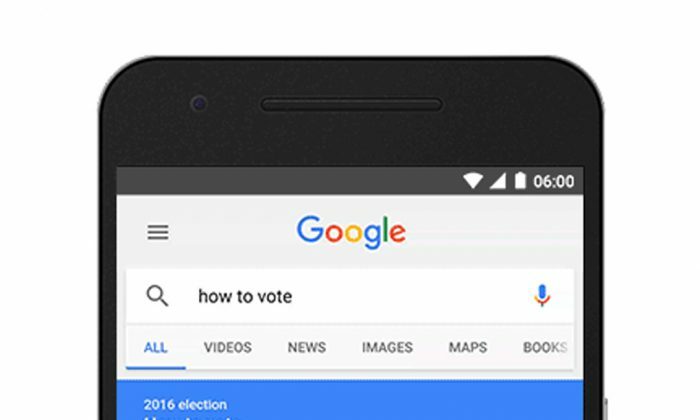 Beginning Aug. 16, Google will provide a summary box detailing state voting laws at the top of the search results whenever a user appears to be looking for that information. The breakdown will focus on the rules particular to the state where the search request originates unless a user asks for another location. That means Google may primarily end up helping out “politically engaged” people who’d be likely to cast a November ballot even without prodding from the world’s most popular search engine. “It’s an open question on how large the positive effect will be,” McDonald said. McDonald, though, says it is always difficult to predict which candidate in an election stands to gain the most from an increase in voter turnout. As an example, he suggests, Google’s effort could easily help increase the number of younger people more inclined to vote for Clinton — or put more ballots in the hands of less educated, disillusioned citizens backing Trump.